This magnificent antique English carpet stands midway between the world of Oriental rugs and those of Europe. 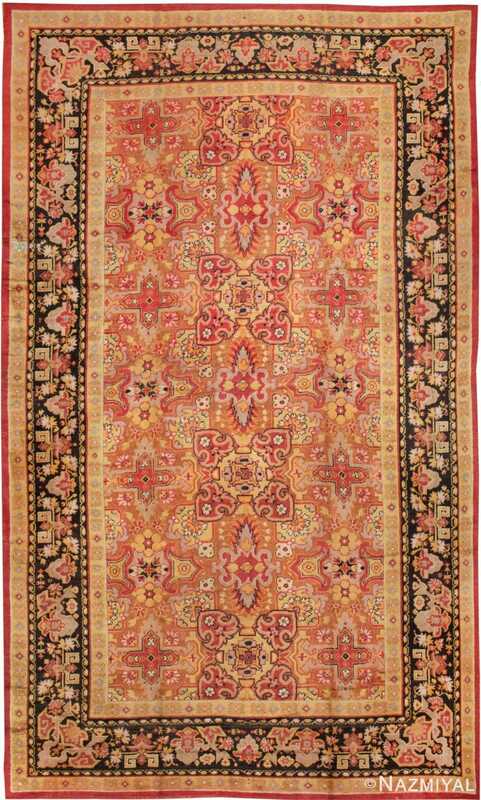 Rare Oversized Vintage Art Deco English Continental Rug, Country of Origin: England, Circa Date: Early 20th Century – This magnificent vintage rug — a stunning English carpet from the early 20th century — occupies an interesting arena of vintage and Oriental rugs, proudly standing in the middle space between the world of traditional Oriental rugs and those rugs that are more typical of European design. 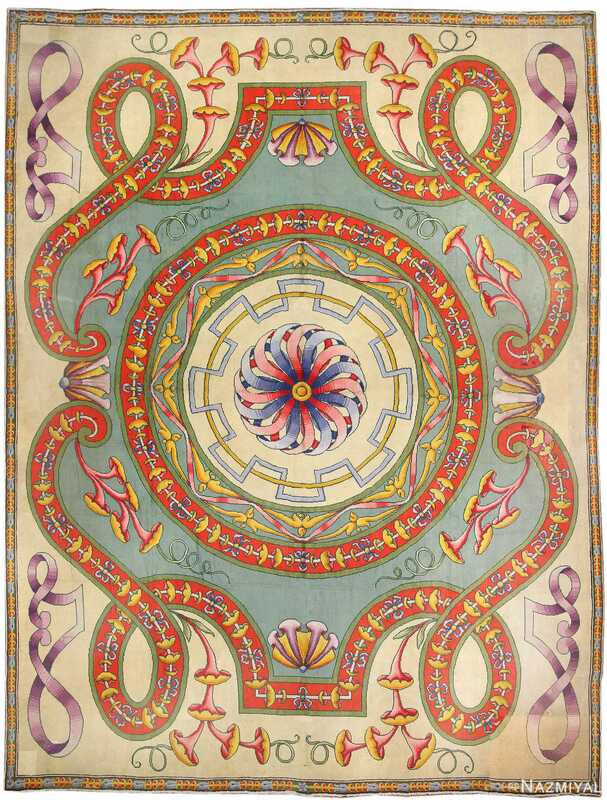 The precise and tantalizing tessellated design of interlocking medallions or cartouche forms featured throughout this rug is derivative of classical Persian traditions — but it is also important to note that this aesthetic is consistently an important feature of traditional English needlepoint carpets. 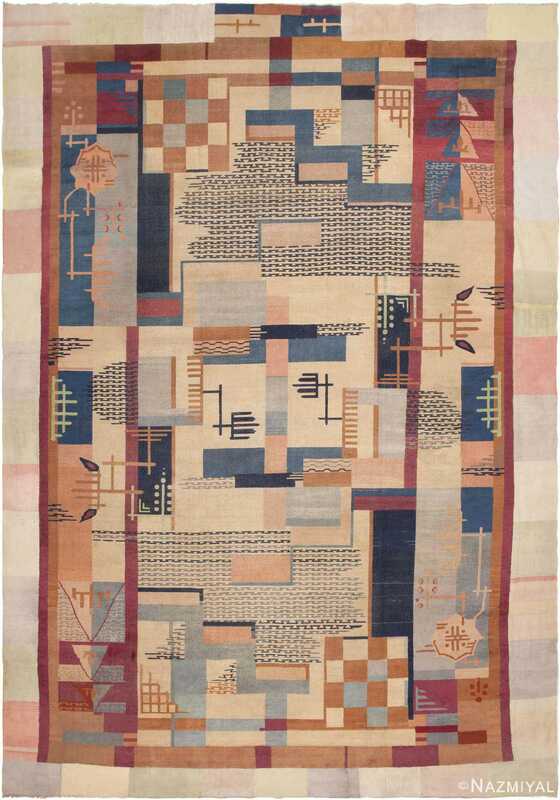 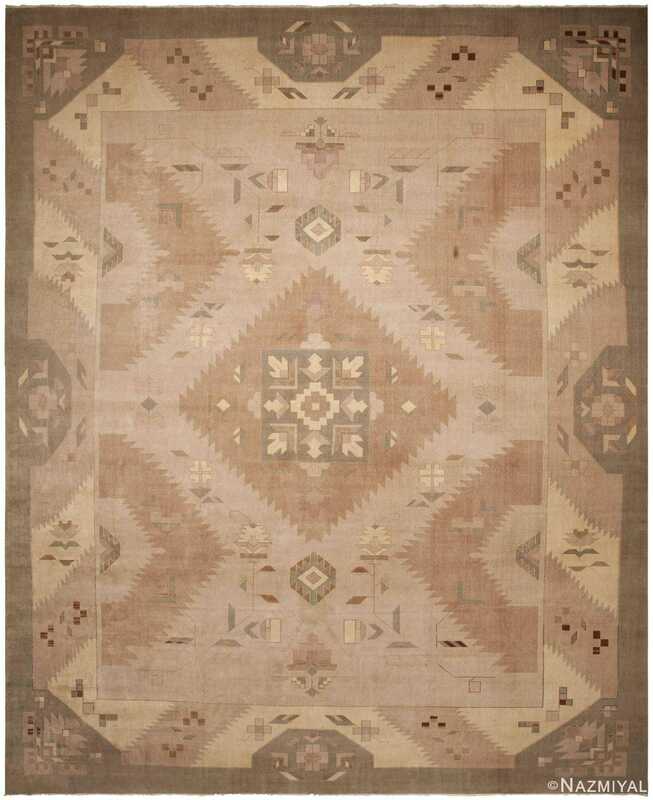 The lovely, soft, rosy magenta and saffron coloration of the field of this Art Deco rug is repeated in the border, but re-contextualized there as it is set dramatically on a black ground that firmly anchors the overwhelming feeling of exuberance of the field.